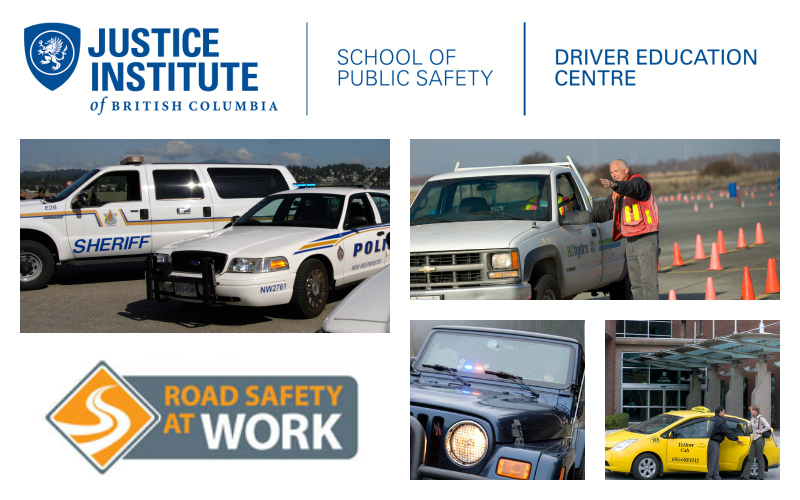 The Pacific Traffic Education Centre at the Justice Institute of British Columbia (JIBC) is rebranding as the Driver Education Centre effective April 1, 2016. The new name is meant to accurately reflect and emphasize the Centre’s focus of providing programs that are designed to enhance the skills and experience drivers need to stay safe on the roads in various conditions. In addition to providing emergency vehicle operations for first responders, JIBC’s Driver Education Centre provides driver training courses on a contract basis to companies and various public and private organizations. Specific courses focus on topics such as collision avoidance, winter driving, total control driving, and occupational four-wheel drive operation. The Driver Education Centre also administers the TaxiHost Pro Program, a required certification program for anyone wanting to drive a taxi in Metro Vancouver, Abbotsford and Chilliwack. It also offers the Graduated Licensing Program Instructor Course that provides the required designation for instructors who want to deliver ICBC-approved driver education courses. In addition, the Driver Education Centre, which is a member of the Work Zone Safety Alliance, provides professional assessments for drivers, which are an excellence resource for fleet managers, companies and organizations who want to ensure their on-road employees are driving safely. Visit the Driver Education Centre webpage for more information about courses and programs available, or contact centre staff at dec@jibc.ca.